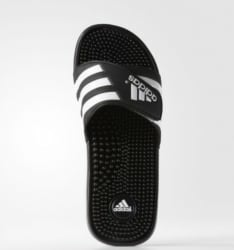 adidas via eBay offers its adidas Men's Adissage Slide Sandals in Black for $15. In-cart, that price drops to $12.75. With free shipping, that's the best price we could find by $11, although we saw them for a buck less during Black Friday week. They're available in select sizes from 7 to 13. Deal ends February 2.